The David Foster Foundation welcomes the GAIN Group on Vancouver Island as their newest Life Legacy member, following an extension of their funding relationship to the 10-year, $1 million dollar mark. The GAIN Group entered into a four-year funding agreement with the David Foster Foundation in 2015 and, late this year, extended the agreement to 2024. The ongoing financial assistance will allow the Foundation to support the non-medical expenses of dozens of Canadian families undergoing life-saving pediatric organ transplants. Throughout the first three years of the relationship, members of the GAIN Group and the David Foster Foundation partnered to engage with the southern Vancouver Island community at various events including National Organ & Tissue Donor Awareness Week (April), the Island Farms Victoria Day Parade (May), and the annual Motor Gathering at the Vancouver Island Motorsport Circuit (August). The GAIN Group on Vancouver Island is synonymous of quality, service and operational excellence. Clients and enthusiasts, from brands like Alfa Romeo, AMG, Audi, BMW, Maserati, Mercedes-Benz, MINI, Porsche, Sprinter, smart, Subaru and Volkswagen, are accustomed to the unparalleled level of service and the expertise present in every part of the group. It is our goal to give each enthusiast the feeling of owning something special. Our sincere desire is to protect their investment for the long term. 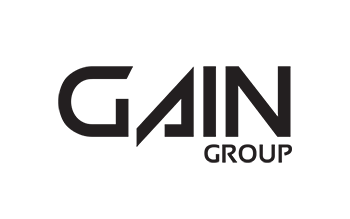 Since 2016, the GAIN Group has added three new and very exciting businesses: the Villa Eyrie Resort, the Vancouver Island Motorsport Circuit and the GAIN Classic Restoration Centre. Each of these are operated separately to achieve the highest level of service within their industry. However, together with the dealerships, they represent an unprecedented combination allowing clients and visitors something spectacular here on Vancouver Island. Passion is part of everything we do and as a result, we are able to bring that same passion into each and every part of our business. Learn more about GAIN Group here: gain-vi.ca.